The Drop in the Market Might Be a Blessing In Disguise For Refinancers | The Law Office of Emil Fleysher, P.A. The Drop in the Market Might Be a Blessing In Disguise For Refinancers | The Law Office of Emil Fleysher, P.A. Due to drops in the stock market, more people are thinking about refinancing their homes. An absurd amount of Americans are questioning whether or not they should refinance their mortgage due to the unexpected fall of rates last week. These inquiries were coming in by the millions from current homeowners and soon-to-be-homeowners who are looking for a bargain. The favorable circumstance came from the commotion that got the financial market, affecting the bond yields and the stock prices that sent them sliding. Since May 2013 the 10-year Treasury yield, which is where the rates for long-term mortgages are tracked, fell below 2 percent. According to Freddie Mac, the average mortgage rate is 4.53 percent; however the rate fell to 3.97 percent. These rates do come with risks as well. Refinancers might get bamboozled with charges and fees if they are solely focused on the possibility of savings. The decrease in these rates can also be interpreted as an economic decline that could potentially reduce the income people on depending on to pay their mortgage. Even with this risk, people are motivated to attain those low mortgage rates. A few weeks ago borrowers, bankers, and lenders had presumed that the rates would begin to rise again and stay around 6 percent which has been the average for over two decades. Their assumption was based on the expectations of a rise next year in the key short-term rates by the Federal Reserve. This tactic would expectantly force for mortgage rates to go up as well. This hypothesis came to a halt when the stocks fell hard due to fears of weakness in the global economy, the threat of Islamic State groups in the Middle East, and the expansion of Ebola. The stock markets rallied on Friday to assist an increase in the yield and were able to increase it .6 perfect, leaving it at 2.20 percent. But even the smallest fall in mortgage rates can mean serious savings. On an average mortgage of $221,000, a 0.5 percent decline in its rate would mean a $50 in savings monthly, stated a Bank of America analysis. 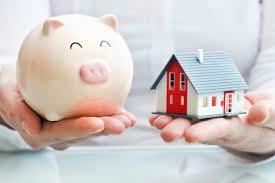 However, for someone who is refinancing, it will take a while for the savings to balance out with the cost because lenders normally charge fees for all kinds of paperwork.